A riveting spy thriller, Jericho's Fall is the spellbinding story of a young woman running for her life from shadowy government forces. In a secluded mountain retreat, Jericho Ainsley, former CIA director and former secretary of defense, is dying of cancer. To his bedside he has called Rebecca DeForde, a young, single mother, who was once his lover. Instead of simply bidding farewell, however, Ainsley imparts an explosive secret and DeForde finds herself thrown into a world of international intrigue, involving ex-CIA executives, local police, private investigators, and even a US senator. With no one to trust, DeForde is suddenly on the run, relying on her own wits and the lessons she learned from Ainsley to stay alive. Stephen L. Carter is the William Nelson Cromwell Professor of Law at Yale University, and the author of seven nonfiction books. 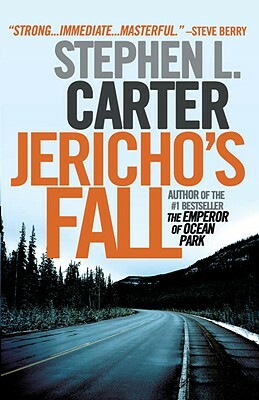 Jericho’s Fall is his fourth novel. He and his family live in Connecticut.